Enterprise Architect has been built to support inter-disciplinary modelers collaborating to create a single and unified view of a system or enterprise, and the platform has numerous built in features to support this team development. By taking advantage of the base UML modeling language, in addition to the numerous extension languages such as BPMN and SysML, plus highly effective frameworks such as TOGAF and UAF/UPDM, modelers, designers, managers and others can build comprehensive, inter-connected models that fully expresses the capabilities, structure and behavior of fully functioning, multi-layered, complex systems and/or enterprises. 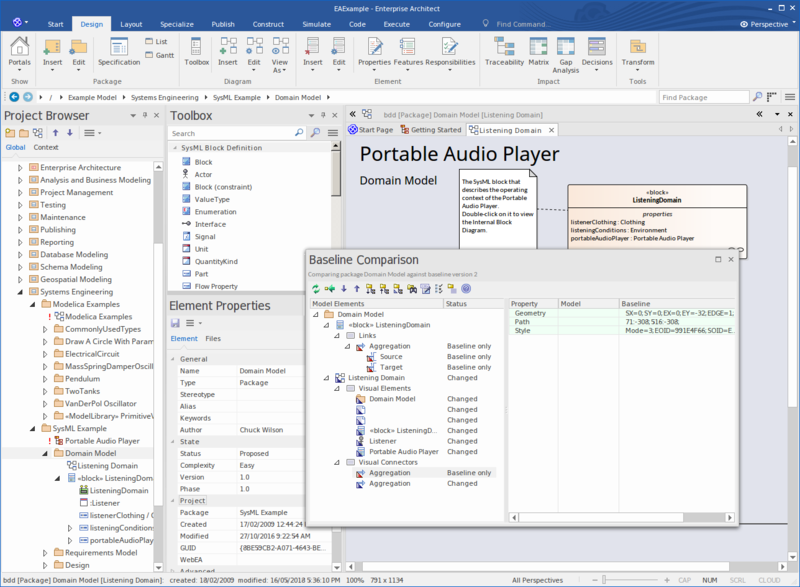 In addition, there are features that allow modelers to discuss the model, such as the Collaborate window, and review work that has been in progress in the Team Library window. Modelers can even send Model Mail to communicate ideas. Model Security can be implemented, which facilitates collaboration and prevents work accidentally being overridden. Due to the nature of the Repository used by Enterprise Architect and the possible deployment scenarios, security can be managed in a number of ways. In the Corporate, Unified and Ultimate editions of Enterprise Architect, there is built-in support for defining users and groups that permit locking and management of elements and Packages within the model. This will be discussed later in the section on Security. In addition, it is also possible to restrict general access to models by using file-based security access for the MS JET and Firebird-based models (.EAP and FDB) and DBMS server authentication and access for the larger database server-based systems. As a further refinement it is also possible to restrict access to a model using the HTTPS protocol when connecting to a Cloud Based server.